An open corner in your apartment, home, or office space is an opportunity just waiting for your creative indoor garden. 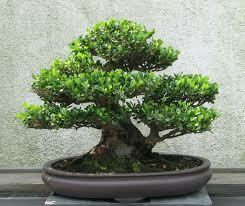 A small Bonsai tree displayed in a well-lighted area makes a confidence statement. Patience, vision, commitment all reflect with your Bonsai. The energy from a feng shui element is connected to the image, your identity, your own Light. Each feng shui element is represented by a specific color and color is an easy way to use the five element principle to bring more harmony to your home or office. Arrange your indoor space and let it evolve into a special garden. Identify with your creative side as you arrange your indoor, balcony, or patio garden. Our plant and garden accessories assist as you create an outdoor ambiance.